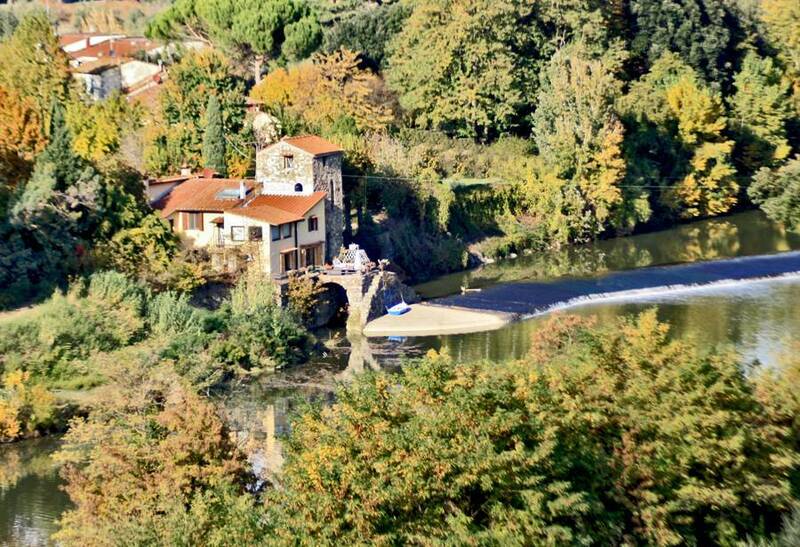 Only 6 km from the center of Florence, the old mill of the thirteenth century, spends quiet days on the banks of the Arno. Only the background murmur of the river you whisper in the ears! Located near a small village is completely surrounded by green countryside. A lovely garden and a hearty breakfast awaits you in the morning and let you enjoy a pleasant stay with your family, will offer you a pleasant break of tranquility, after the day visiting monuments and museums. The rooms, bathrooms and a common hall occupy a wing that is completely reserved to guests, and are decorated carefully selecting furniture and furnishings to accentuate the unique character. The rooms are equipped with a refrigerator and television with satellite-dish television. 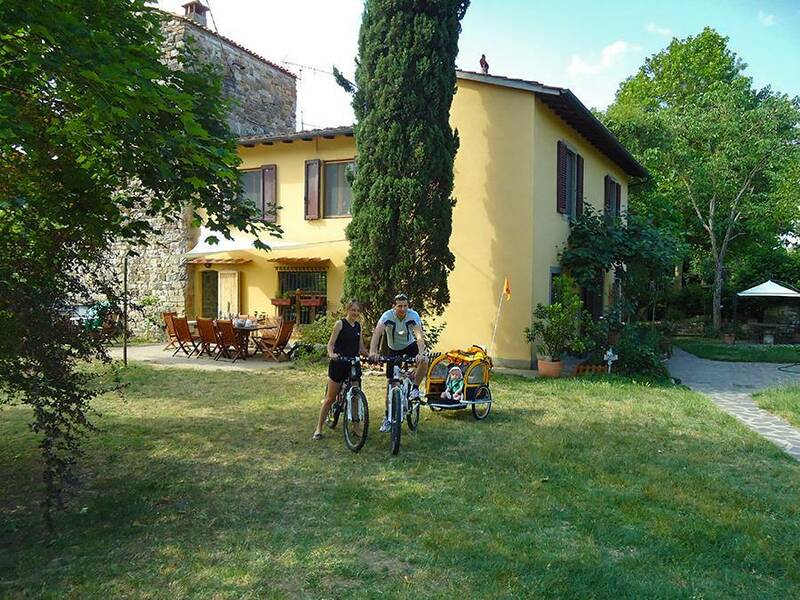 The B & B can be both an ideal base to visit Florence or a starting point for hiking or walking and cycling in the Florentine countryside. A few hundred meters guests have at their disposal, without to use a car, an excellent restaurant, bar, pharmacy and various other shops, in addition to the movies. 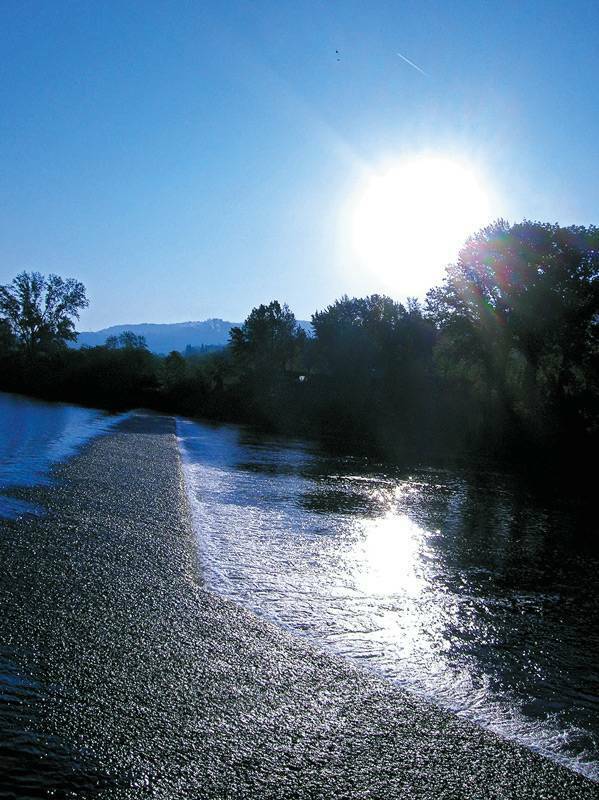 Availability of bicycles for walks or to Florence on the beautiful bike path on the banks of the Arno. The bus stop within 200 meters will allow you to reach the center of Florence and to the train station, with departures every 15 minutes. The area where is located the B & B is just outside Florence in the valley of the Arno River and the foothills of city of Fiesole. By Martellina you can make excursions to Fiesole, an ancient town of Etruscan origin with a splendid Roman amphitheater and an exceptional view of Florence or in the direction of the Chianti region, with its castles and farms, all within 30 km. The famous monuments of Florence, Ponte Vecchio, the Uffizi Gallery and the Academy, Cathedral of Santa Maria del Fiore and all other tourist destinations are just 6 km from the B & B. All the bedrooms are situated in the first floor. Children under 3 years are free, Baby-bed available. the tourism tax rate for this B & B is Euro 1, 00 per person per night and will be paid separately by the amount of room. It is non applied to children under eight years of age. Olivo or Leccio double bedroom with shared bathroom (shower) and 140 cm bed. Large window with garden view. Price 65/80 euro. The Salcio large double bedroom, river and garden view through two large windows, en suite bathroom (shower) with a 160 cm canopy bed. Price 90/110 euro. Ability to add a single bed with a 20 euro surcharge. The Salcio Tower double bedroom, river view through large window, private bathroom (shower) with a 140 cm bed. The room, very romantic, is located in the ancient medieval tower with stone walls and is accessed through a spiral staircase of 15 steps with the same and you also get to the bathroom. Apartment composed of 2 double bedrooms communicating. 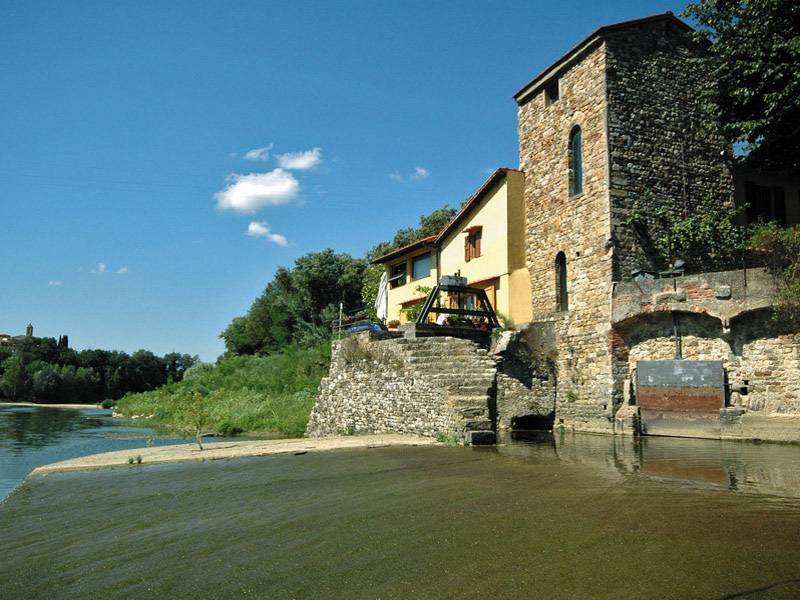 The Salcio with en suite bathroom (shower), canopy bed of 160 cm and a view of the garden and river from the two large windows + the Salcio Tower in an old tower with stone walls, bed of 140 cm, overlooking the river and a other external private bathroom (shower). Total price 140/160 euro. 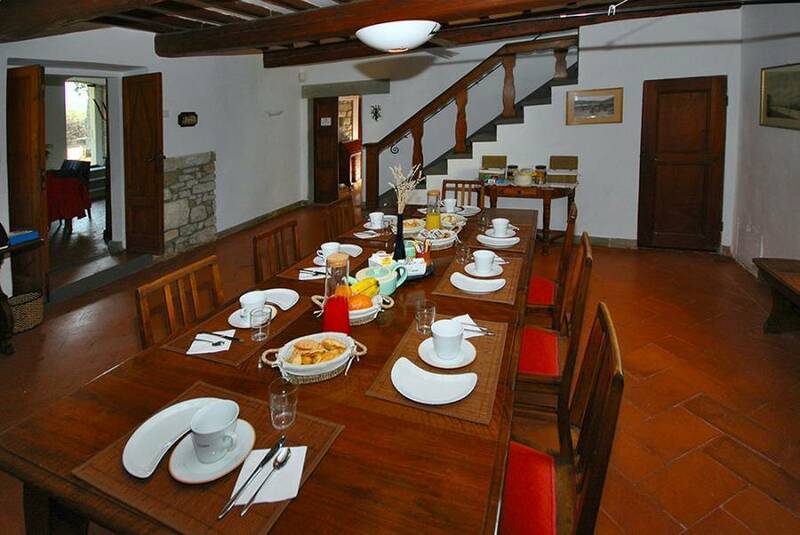 The B&B is located along the Arno, very close to Florence, and is immersed in the landscape of green hills that form the valley of the river. It is a veritable small oasis of tranquillity. From here one can easily visit the entire artistic wealth and heritage of the city thanks to the excellent connections (by bus, bicycle or car) or dedicate one’s time to exploring the environs of Florence, avoiding city traffic. The bus stop is located only 200 meters from the B&B. This bus line (14A) with frequent runs crosses the entire historical center. Any reservation must be cancelled no later than two weeks in advance to receive full refund, less the 10.00 euro administrative fee. No refund is given in all other circumstances. We are a very small facility (we have only four guest rooms), and that forces us to be rather restrictive in our cancellation policy. As a matter of fact, if you cancel a reservation, it means lost income to us, because it’s very unlikely that we would be able to rent your room to someone else - most visitors would have already booked a room at some other place. Large hotels can afford the “same day” cancellations - we cannot, sorry. Thank you for your understanding! From SM Novella train station in Florence: with bus 14A towards Girone in 20 minutes, the stop is 200 mt from the Bed and Breakfast. From Florence airport: the shuttle to the station and after 25 minutes by bus. From the motorway A1 Milan - Rome: take the exit Firenze Sud, then he must walk the ramp and after 3 km of state road in direction Pontassieve.